"Jobs" journey: Biographical dramas tell us about someone's life journey. But sometimes there's also a film's journey through the awards season to talk about. A case in point is Universal, Legendary Pictures and Scott Rudin Productions' R rated "Steve Jobs,"which begins exclusive engagements this weekend, goes into limited release Oct. 16 and opens wide Oct. 23. 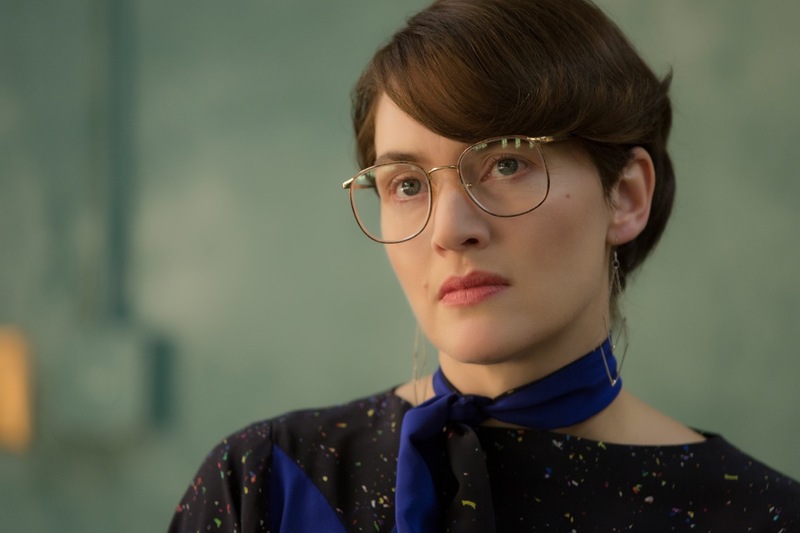 Starring are: Michael Fassbender as Apple pioneerSteve Jobs, Kate Winslet as formerMacintoshmarketing chief Joanna Hoffman and Seth Rogen as Apple co-founder Steve Wozniak. 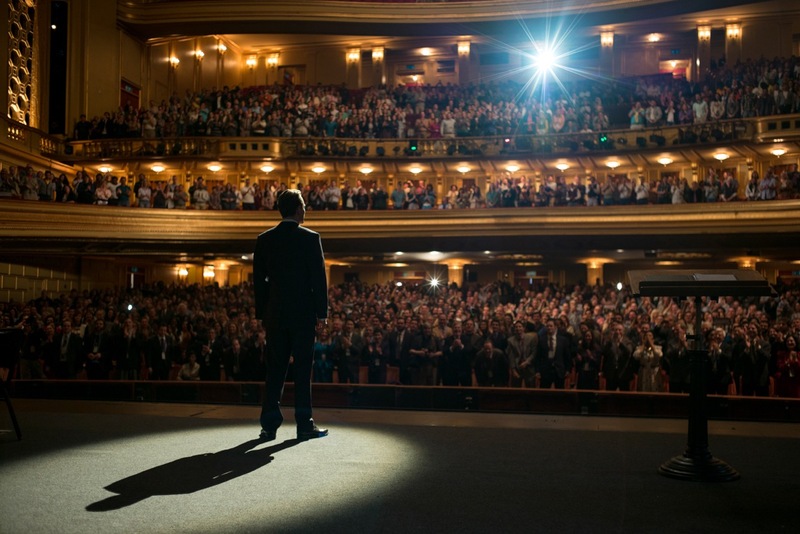 "Jobs,"which should play best to adult moviegoers, world premiered to an enthusiastic reception in early September at the 42nd Telluride Film Festival. Itwas applauded last Saturday as the Centerpiece selection at the Film Society of Lincoln Center's 53rd New York Film Festival. That prestigious launch pad should serve "Jobs" well just as being NYFF's opening night selection five years ago benefited "The Social Network. "Its adapted screenplay was written by Aaron Sorkin, who also adapted "Jobs." "Social" received eight Oscar noms, winning in three categories, including adapted screenplay. 'Steve Jobs' is dramatically concentrated, yet beautifully expansive; it's extremely sharp; it's wildly entertaining, and the actors just soar – you can feel their joy as they bite into their material." "Jobs" has the kind of awards pedigree that should easily put it on track for serious consideration in prime Oscar categories. To begin with, director Danny Boylewon the best directing Oscar in 2009 for "Slumdog Millionaire." He also won the best directing Golden Globe, BAFTA, Critics Choice Award and DGA Award for "Slumdog." "Jobs'" stars are no strangers to awards voters. Michael Fassbender was a supporting actor Oscar nominee in 2014 for "12 Years a Slave," but lost to Jared Leto for "Dallas Buyers Club. "Fassbender also received Golden Globe and BAFTA noms for "Slave." Kate Winslet was a best actress Oscar winner in 2009 for "The Reader." She also has five other Oscar noms to her credit – for best actress in 1998 for "Titanic," in 2005 for "Eternal Sunshine of the Spotless Mind" and in 2007 for "Little Children" and for supporting actress in 1996 for "Sense and Sensibility" and in 2002 for "Iris." As you'd expect, she also has a long string of Golden Globe and BAFTA wins and noms. screenplay by Aaron Sorkin is adapted from the book by Walter Isaacson. Besides winning the best adapted screenplay Oscar in 2011 for "The Social Network,"Sorkin also took home the Golden Globe, BAFTA, Critics Choice Award and Writers Guild of America adapted screenplay award for "Social." And there's Oscar pedigree-plus thanks to producer Scott Rudin, who won the best picture Oscar in 2008 for "No Country For Old Men." Rudin's enviable list of other best picture Oscar noms also includes: "The Hours" in 2003, "True Grit" in 2011, "Extremely Loud & Incredibly Close" in 2012, "Captain Phillips" in 2014 and "The Grand Budapest Hotel" in 2015. Clearly, Rudin's productions tend to resonate with Academy members. Boyle, talking about making "Jobs," observes that, "the character of Steve Jobs that Aaron created -- the Steve who exists in the script, who overlaps in some ways with thehistorical figure and in other ways doesn't -- was hugely appealing to me. He'sa character of Shakespearian proportions. He's mesmerizing and brutalizingand entertaining. "I saw in Sorkin's screenplay a lot of people in orbit around thisextraordinary planet, which is the character of Steve Jobs. There are people likethat in life who we end up orbiting around; our lives are lived in their reflection in some way, and we're unable to break away from them. They have a gravitationalpull. They are people who inspire devotion. That's a fascinating kind of characterto examine." of real life, but the film is an abstraction. "It takes events—some of them real,some of them imagined -- and pushes them into three acts, structured aroundthe launches of the Macintosh in 1984, the NeXTcube in 1988, and the iMacin 1998. Six characters turn up three times, 40 minutes before each productis launched, and just bang on each other. That's not real life; it's a heightenedversion of real life." Before filming began, Boyle budgeted time for extensive rehearsals. "One of the extraordinary things about Aaron's language is the rhythm of it,the propulsion of it, and I was excited to see actors speak the language, butI also knew that it would be very challenging for them," he points out. Working that way, Boyle explains, "allowed them to take pause and take stock.The actors are always in motion, through each of these acts. Of course that's partly because these people are in the midst of final preparations for alaunch, and there is last-minute business to be taken care of, but it is also veryintentional because it was part of Jobs' philosophy. He would walk and talk. He didn't want to sit around having boring meetings." Jobs preferred walkingand talking, he added, "because it lent a certain momentum to the undertaking, whatever itmay have been. We approached rehearsal and filming in a way that I hopedwould liberate the actors physically; I didn't want to create spaces on set thatwere confined, but rather provide a sense of freedom and openness. "I didn'twant the actors to have to worry too much about where they were standing,where they were going. At the beginning of rehearsal, we let everyone movewhere they wanted. Gradually, as we approached the day of shooting, wefound our way into blocking the scenes." As for collaborating with Fassbender, Boyle says, "I've never worked with an actor who went on such a journey as Michael did orhad such ferocity of commitment. Not once did I see him look at a script or sides, and he had Hamlet/Lear-like lines to recite every single day. He absorbed thescript in a way that had nothing to do with rote learning. "It was never a question of remembering, 'Do I say this now?' He knew that script like he'd writtenit, which lent his performance a force that made it seem he was capable ofcreating something in front of you out of virtually nothing. I always thought thereis something very Jobsian in Michael. He has that quality in him, which is thisincredible intensity about the application of what he's doing. He's an intimidatingactor, truly." Boyle also speaks of Fassbender's great wit: "It is a witty script and Michael mines the humor of it with incredible detail and comedy when he wants to. But he's ferociously intimidating in his application, and he showed that in hispreparation. I was lucky that I could bring together Sorkin's script with an actor likethat; my job was to make sure that nothing hindered it." Bottom line:"Jobs"is entering a thriving movie marketplace. The year-to-date boxoffice is up 6.5 percent, according to the movie tracking firm Rentrak. Last weekend saw a $55 million blast-off for 20th Century Fox and Scott Free Productions' PG-13 rated 3D sci-fi action adventure "The Martian," from"Gladiator" director Ridley Scott. It also took in $45.2 from its launch in 49 international markets, bringing its global cume to $100.2 million. Based on Fox's Sunday estimates, "Martian" is October's second biggest opening ever. It closely follows "Gravity," which opened Oct. 4, 2013 via Warner Bros. to $55.8 million and wound up doing $274.1 million domestically. "Gravity" was nominated in 2014 for 10 Oscars (including best picture). It took home seven (including best directing, but not picture, which went to "12 Years a Slave."). With its great reviews and word of mouth and its stellar ticket sales, "Martian" is clearly on track for Academy consideration. Ridley Scott's awards pedigree will also help. He's a three time best directing Oscar nominee – in 1992 for "Thelma & Louise," in 2001 for "Gladiator" and in 2002 for "Black Hawk Down."